If you’ve lived under a rock for the past few months, you may not be aware that Dan at MrSpeakers has again been up to no good as of late. Somewhere out in the desert in California, or perhaps a dark laboratory of a malicious manner, Dan Clark created a new monster of a headphone for us to enjoy. 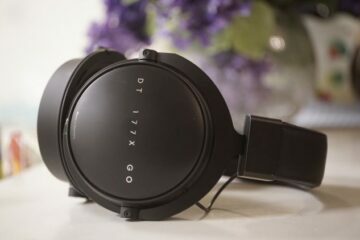 He’s done it before with the Alpha Dog, a concoction of modern design fused with old school Fostex planar driver, but this time around he has developed a new headphone from the ground up. A new toy for us to play with and I plan to play with mine for a long time. This one is mine. You can’t have it…MINE! MrSpeakers offers a few cable types for your consideration upon checkout of your new $1499 Ether, such as balanced XLR, 4pin balanced RSA, ¼ and 3.5mm. They also offer a “DUM” cable type, which is a higher quality cable that is not special in any way, shape or form…at least according to the Ether’s cable product page. They know how silly the cable quality game thing can be sometimes and I am not sure why the cable is offered if it is called “The DUM Cable”. Kind of taking a page out of Schiit’s playbook, it seems. Either way, the standard cables are still very DIY and a bit thick for my tastes, I prefer a thinner and more conforming cable that isn’t stiff, but that’s just me, what the hell do I know? The Dum style cable is fabric laced and gives off a higher end vibe than the standard cable option. The headband uses a unique type of metal called Nitinol, or “memory metal”. By rights, I find it awesome and something I hope many other companies adopt. There is no reason to create a solid, weighted headband. Cut down the size, cut some holes in it or in this case design it as two thin wires that run parallel to each other with a gap in the center to cut weight. Brilliant setup, so elegant and comfortable with just the right amount of clamp and give to it. It never feels like a vice and I can’t see those with large Xman noggins having difficulty with the design. The pads are made of real lambskin leather: they are also not the typical MrSpeakers angled pads I’ve come to love from past models. Instead, they’ve opted for a new type of design that offers a flattened to the ear, more traditional fitting ear pads. Plenty of space in there as well, so those related to Dumbo over on Head Fi won’t have issues getting your ears to fit inside. The headphone is also plenty light-feeling on my head and rests with a nice balanced fit at 370grams or so. The Ether shells out some impressive bass quality, but seems a bit void of subjectively interesting texture. 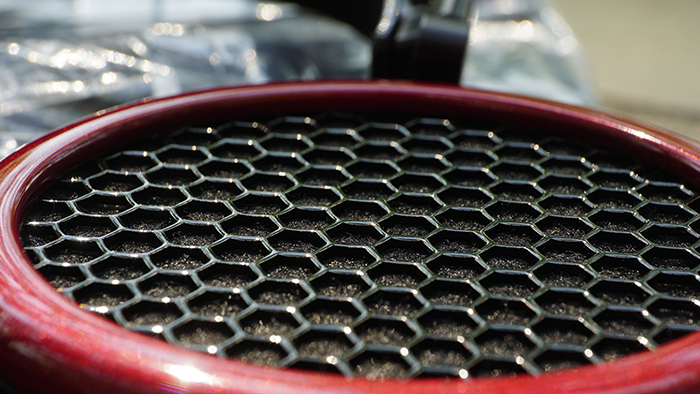 Purists will love this type of a sound; it is very similar to the HD800 texturing. Although, quantity is not at all like the HD800, there is certainly more substance and quantity offered here than Sennheiser’s old flagship of yesteryear. Sadly, the Ether low end is not something I consider at all musical with regard to that tonal hue or coloration, but I do consider it plenty enjoyable in terms of literal quantity and its ability to sound full bodied and plentiful. As planars tend to be, the Ether is really no different than the Audeze’s in that regard: plentiful low end combined with a good amount of kick and slam. I really didn’t expect the overall sound signature to be this lean though, coming off the Alpha Dog and Prime makes it kind of difficult to sit in with the Ether’s low end. By comparison, the Alpha Dog is more prone to a musical hue, whereas the Ether is more clinical and pure. True, the Alpha Dog digs deeper when its bass ports are properly setup for it, but the Alpha Dog is also the more interesting in texture of the two. I wasn’t too fond of the Prime and it is not a headphone I would want to use for dropping the Bass…but even so the Alpha and Prime are both superior in style and musicality over their older brother here. As someone who is fond of musicality, I simply do not consider the Ether a musical headphone with regard to tone or texture. It is quite bland and raw, uncolored and of a reference tonality. I think it is more than obvious the majority of the high end community is going to go nuts for it, but the die-hard musicality lovers won’t think much of it. I strongly feel that HD800 enthusiasts, who wanted more oomph in their bass quantity or perhaps more substance and solidity, should be aiming their sights on purchasing this Ether ASAP. The HD800 always seemed off to me for anything bass oriented, just lacking that sense of awe and depth that most Planar headphones offer in abundance. Dan’s Ether feels of a higher quality and has proven itself to be more responsive to bass in general than the HD800, equally as clean and clear but also offering quantity more like the Audeze X: rare combinations of bass quantity, texture and solidity yet all in a reference and clinical tone! Purists who want more quantity without sacrificing quantity are in for a real treat and should be signing into PayPal right about now. I was hoping for a livelier and more forward sound signature, something akin to the Alpha Dog, but it seems the Ether is more of a moderately relaxed headphone and something I consider middle ground in terms of locale. Probably the best idea to go this route, as it responds nicely to intimate and forward tracks and well as live venues: you get a good taste of it without either sounding too distant or overly forward and washed out. 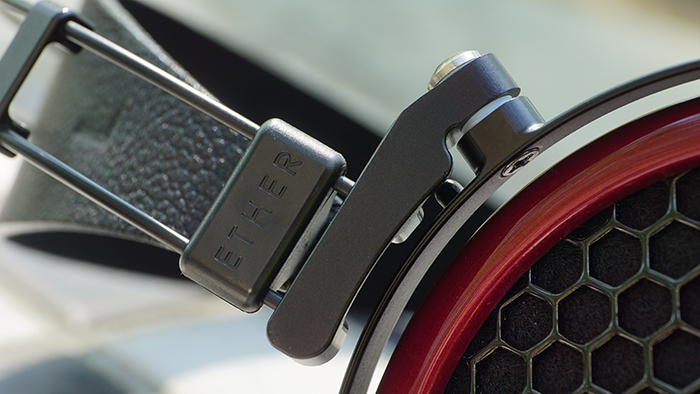 Substance and weighted sound signature is the prize of most Planar headphones but in this case the Ether is more like a great Dynamic headphone than an Orthodynamic. I’m not fond of it, in fact I really dislike it more so due to the lack of a musical tone and the headphones stubbornness to sound uncolored with warm rigs. 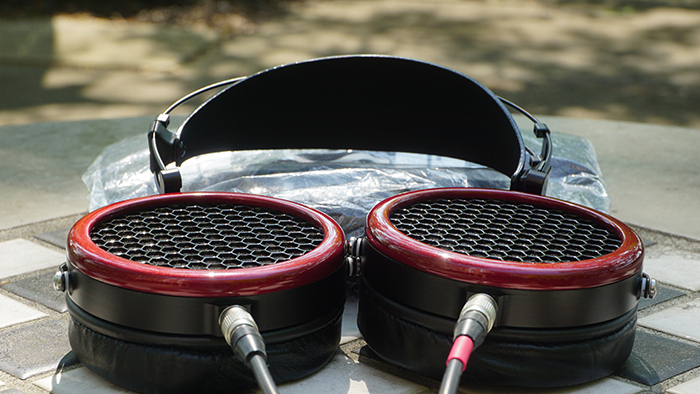 The sound signature of the midrange and up to the treble isn’t as weighted as I prefer and most HD800 will enjoy it. Yes, it sounds thicker and of a more solid feel than ye’ old HD800, but it isn’t quite on par with the LCD series from Audeze in heft. If you are into the HE-500 from Hifiman, you should be able to denote what the Ether feels like in a physical sense of the word. There really isn’t anything magical or supremely realistic occurring here and it is far inferior to the likes of the top tier Stax electrostatics, but still more so thick with substance than any Dynamic headphone. I don’t consider it a vocalist’s dream headphone, again due to the lack of a very forward sound signature. Also, compared to my Flare Audio R2Pro IEMs ($633) the Ether falls short of a concise, well-formed experience in the vocals. Again, that substance factor I keep blabbing about just doesn’t compare to these Flare IEMs, which did that quality so well that I doubt any other headphone for some time will exceed it in the price tier of sub $1500 or so. The Ether has loose edge work exactly like the Stax 007, lacking that realistic formation and solidity of voices and most instruments that the Stax 009 and the Flare IEMs have in droves…gosh that upsets me on a personal level because the overall clarity of the Ether is absolutely a bit better than the HD800 to my ears. I consider the Ether one of the better neutral flagships out there, think polar opposite of the LCD3 in tone, but something similar in bass and mid quantity potential with some EQ, yet also with vastly superior treble to the LCD3. It is a new type of neutral headphone: one with plentiful, deep reaching bass and treble extension. As with the low end and midrange, treble is more than plentiful in terms of quantity, but I find it fatiguing after a while of usage. I just can’t seem to use the Ether for extended periods of listening, I really don’t at all consider this headphone smooth and impact-light. In fact, I think it feels a lot like the HD800 in terms of PRAT and slam factor, something more authoritative and vividly engaging in terms of snap and kick. Certainly, it is too much for my ears to handle after an hour or so, but I believe most Stax 007 and HD800 owners are going to really enjoy this headphone’s upper end and feel right at home with it. While that quantity of the Ether’s treble is abundant and engaging, I do consider it a bit painfully clinical with a bit too much brightness to it through most in the tracks I normally listen to. Oddly enough, the Ether reacted very different from rig to rig: Calyx M to my HA-1 from Oppo, to my Pathos Aurium and onward to other rigs I was able to demo. With regard to the treble, the Ether seems to react nicely to different types of textures in the top end of things: my HA-1 offers a more concise and reserved quantity and the Ether feels more weighted and solid via balanced XLR. However, though my single ended Pathos Aurium that is using Reflektor 74’ 6922 tubes (high end tubes for this family set), the Ether reacts in a more natural and silky type of presentation to the upper midrange, climbing into the treble as well. 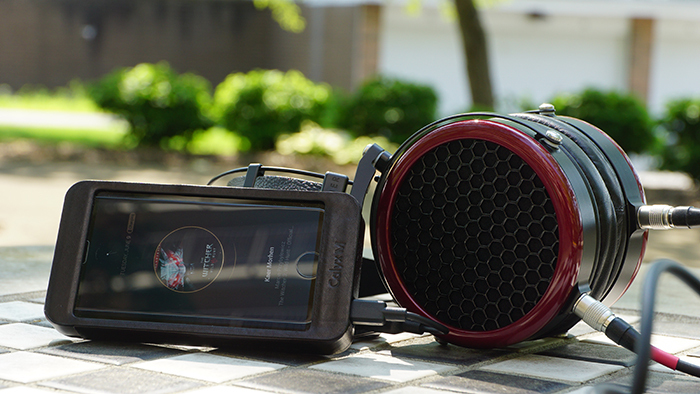 It seems the Ether plays ball from rig to rig, something the HD800 cannot do very easily by the way. Treble quality doesn’t seems any more or less awesome than the HD800 on a great rig that paired well with it (IE: the Ether treble is like the HD800’s treble in clarity and purity when it actually is setup on a fantastic rig geared for usage with the HD800). That is a hell of a feat if you ask me, especially so when considering the treble is similar to the HE-6 from Hifiman as well in terms of weight and physicality when used in Balanced XLR form. I feel the Ether to have dethroned the HD800 and maybe even the HE-6 in terms of price to performance. Shame really, the HE-6 reigned supreme on that front in my opinion, offering a shimmering, yet bright and punchy treble experience without sacrificing clarity or luster. In the case of the Ether, it seem to be a fusion of the HE-6 in terms of physicality and weighted solidity, as well as the HD800 in terms of brightness and clarity on a proper rig. Pretty damned awesome if you ask me, although I admit it to be fatiguing and overly snappy for my personal tastes, I have a lot of trouble enjoying it from a musical standpoint. Too much snap and too much accuracy gets painful really quickly, that is something I don’t want to experience in my music binges and I feel that musicality chasers like me will not enjoy it, but purists will want to build a shrine to the Ether and call it their new deity. Page 2: Continue for more sound impressions and the scores! Objectively speaking: If its not musical then its not nuetral. Studio engineers go the length of buying expensively colored tube mics, compression,limiters for attack, use neutral monitors, tube pre amps to color the sound, reverb, delays, equalizers for things to sound downright dramatic and engaging. Yet audiophiles throw it all in the trash for the sake of some dry a## sounding purity that doesnt even exist in the pro world. He6,hd800,t1 are not even close to a high tier studio monitor. I know noone who uses that bright stuff to check reference. Lets get some real balance from a high end hp. Just wanted to say this is a great comment, Grizzly. High five and if I could start a slow clap for you, I would. More truth like this needs to be posted around the hifi community. Not Musical means it is not exaggerated, which means it is in fact neutral. Not Neutral means unbalanced, either lacking something, or something in abundance. Studio engineers in my experience don’t care what the source is, having worked at a few studios and as a DJ for a long time I can absolutely state that sound engineers don’t care…because they have a $50,000 EQ board sitting in front of them that lets them take an exaggerated instrument, route it into a neutral source if that’s what they have, and then turn that right back into exaggerated again. No studio that I am aware of actually invests time into “buying a pure amp, source, dac” ect ect because all of them will sound the same in setup and feel after downmixing and EQing for the finalized track. What they do look for is sensitive equipment that is prone to hissing and static pops as per what the recording was able to pick up, but that other equipment may mask. Recording studio’s dont want that and in my experience that is the only thing they hunt for when purchasing their studio equipment. Most studio’s will playback their finalized product on consumer grade speakers and headphones for the explicit reason that they will sound acceptable through the most popular type of speaker or headphone. It is extremely rare for a studio to mix their tracks for a high end experience. You are absolutely right, those headphones are too bright to be considered monitors or even accurate, and I’ve stated that on Head Fi for YEARS with actual backlash against me for saying it. No studio uses the HD800 to mix their stuff, it is the worst idea ever to use a neutral or flat sounding headphone like that to master a wide variety of tracks. Almost no studio is going to set up their entire audio setup that can cost in excess of hundreds of thousands of dollars, just so they can master tracks with the HD800 and also had to setup that gear to pair properly with the HD800. Dubstep, Rap, RnB…hell…anything with an upright bass in classical or jazz can’t be accurately reiterated through an HD800. Super expensive studio monitors (speakers) resonate so low that they perform more like the Audeze’s than the HD800, T1 and similar. The HE6 is actually far better for mixing than the HD800, as it dips very low and extends very high with a nice, linear appeal on a flat EQ. The HD800 is lacking in that regard on a neutral EQ. If the Ether is a bit lacking in drama or color for you, what is your ideal headphone (or closest to it)? As for me, it is the HD650. My current set up is the HD650 feeding off of the Chord Hugo and I’m enjoying it very much :). Good to see a review that tries to be objective, thanks. Can you elaborate on source and amplification that you used please? Thanks. Oppo HA-1, Pathos Aurium with 74′ reflektor tubes, stock tubes and medium tier upgrade tubes, calyx m, astell and kern ak120, chord hugo, burson conductor sl, rsa sr71b, graham slee solo and an asgard 2 were all part of the review. Good stuff, thanks. Looking forward to hearing these at London CanJam & deciding if they’ll be an upgrade to my HE-560. Good to see a review that tries to be objective, thanks. Can you elaborate on source and amplification that you used please? Cheers. How long did you use them for? I’ve heard over time they open up and settle in even more. 100+ hours before touching the keyboard to write anything. 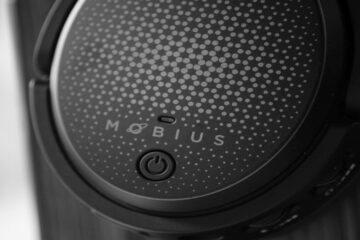 Objectively, great headphone. Subjectively, not fond of it.